Mounting an image could not be simpler, just right click on the iso file and select 'Mount image'. The mounted image will then appear in Explorer (or if Auto-Play is available, it will automatically open). It is just as easy to remove the mounted image, just select 'Eject' in Explorer just the same as any other CD/DVD, the drive will then be removed. The mounted image is used in the same way as other CD/DVD that have been inserted into a physical drive. Mount and unmount ISO images easily with scripts, or even with login batch files. Images can also be mounted using specific drive letters. Create ISO images from files and folders with ISO9660, Joliet and UDF file systems. You can even create Rock Ridge with the pro version. An image converter, for changing unreadable images such as cue/bin or nrg files into iso images (pro only). 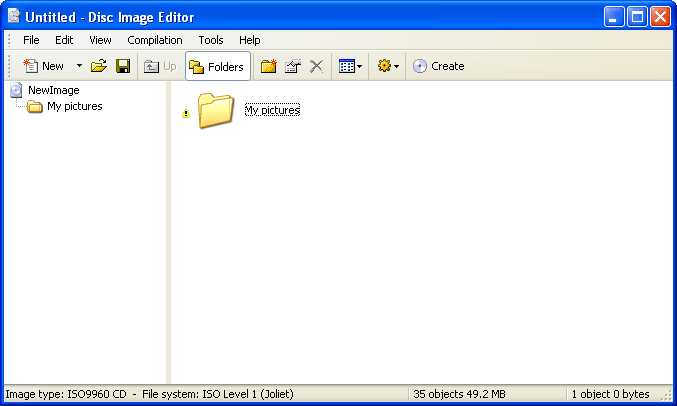 An image creator, which allows the creation of iso images from physical CD/DVD's. An image mount application, for a little more control over how images are mounted into the system e.g. by a certain drive letter (pro only). A taskbar tray application for mounting frequently used images.